It's with ever-increasing frequency that I find myself in Utah bars and restaurants thinking, "This certainly doesn't seem like Utah!" Maybe it's just time I got on board with the idea that a lot of things about Utah just don't seem like Utah anymore—especially the drinking scene. Yes, I know there are still hoops to jump through, but nothing like the days of the private clubs and memberships (remember?). It wasn't very long ago that one had to be "sponsored" into a club where one didn't have a membership. And, while you could always get a drink in town, there were few true destination bars or clubs of the type you'd want to impress out-of-towners with. Well, it's easy to forget those bygone days—no matter how desperately some of the Powers That Be in the Utah Legislature would like to return to them—when you walk into a watering hole like the new Under Current Club. It's a place that, from a design perspective, could compete with bars from New York City to San Francisco. Under Current Club is adjacent to—not literally "under"—Current Fish & Oyster restaurant. Although it's not a private club, you do have to be 21 or older to enter; if you want to bring the kids, visit Current restaurant next door. Under Current was made for adults, and although it's new, it has a very grown-up feel about it. It's a place where even someone of my advanced age can enjoy a cocktail and a nosh and still hold a quiet conversation. Not that I have anything against frat boys, but you're unlikely to find them here. Under Current Club is snazzy. Like Current restaurant, the design combines modern, sleek lines with aspects like reclaimed wood-barrel ceilings. There's a long, backlit bar on the ground floor, with table seating, too, and a comfy lounge-type area upstairs, with a floor-to-ceiling glass wall the separates the upstairs of the restaurant from the upstairs of Under Current. It's the type of place where you just want to crawl into one of the comfy couches and sip the night away. Amy Eldredge is Under Current's bar manager, a mixology professional who apprenticed under Sasha Petraske at Philadelphia's Ranstead Room. She also designed the cocktail program for Philly Stephen Starr's Dandelion restaurant. We're lucky to have her in Utah. Absinthe makes the heart grow fonder at Under Current, where that botanical spirit is highlighted in a number of cocktails, as well as being served traditionally. You'll find it in the Life After Death (cognac, absinthe, lemon, sparkling wine), The Siren (Beehive gin, absinthe, lemon, egg white), Glasgow Sazerac (Scotch, rye, absinthe, Peychaud's), and the Oh My, Moai (pisco, absinthe, pineapple, lime). That last one—the Oh My, Moai—is one of my favorites. But, I also like and appreciate that Under Current takes the time to serve absinthe in its classic form, via a four-armed device that looks like a cross between an octopus and a hookah. At a recent Under Current absinthe tasting, I discovered how nuanced absinthe can be. 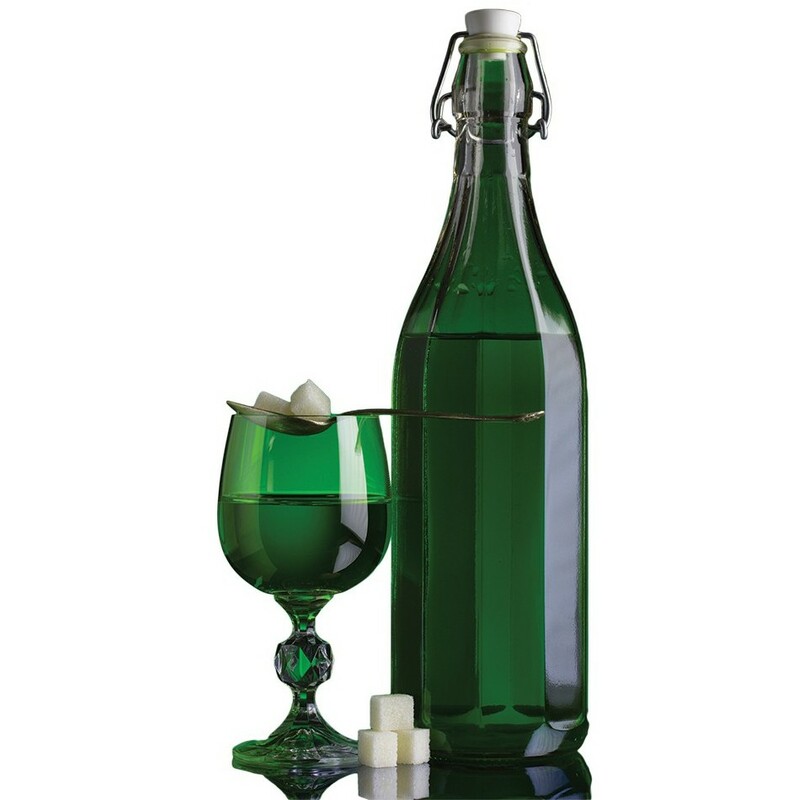 Sipping Swiss Kübler Absinthe, anise, fennel and licorice were the primary notes, while St. George Absinthe from California is floral and grassy. The absinthe I liked best—Pernod Supérieure from France—was the most pastis-like of the absinthes at Under Current, but with mint and subtle cinnamon flavors. Well, whether absinthe is your cup of tea, or you'd rather sip wine, cocktails, beer, spirits and such, Under Current Club has the goods and a very well-trained bar staff to help indulge your drinking fantasies. Why, you'd think you weren't in Utah.